Adjustable top half bolted to lower half. Done for so far. (the rest of this job will be done together with the front towers. Crossmembers parts on the bench. Drilled some holes for more weld surface. This is the crossmember it's going to replace. 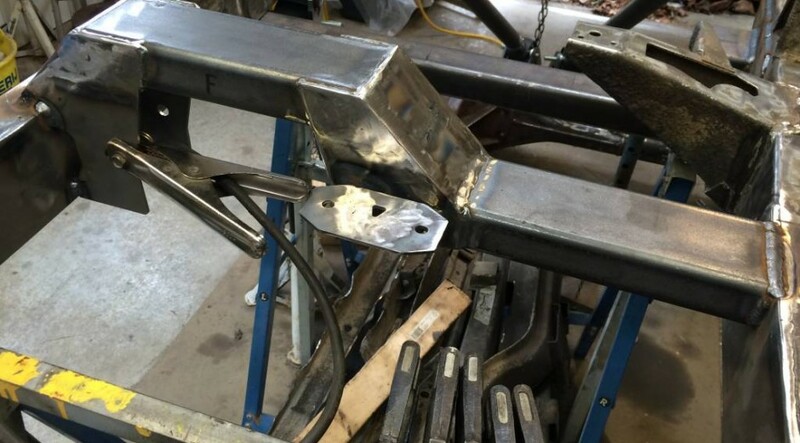 Crossmember brace and plate on the frame for the front suspension mounts.